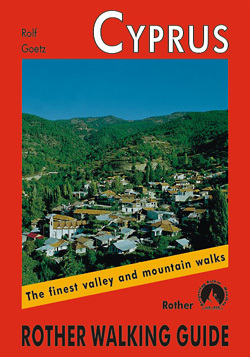 This Rother walking guide to Cyprus includes 40 routes mostly ranging from easy to medium level. Each route has a detailed description and accompanying map at either 1:50,000 or 1:75,000 scale. The guide also includes one overview map at 1:900,000 scale and 80 colour photos. 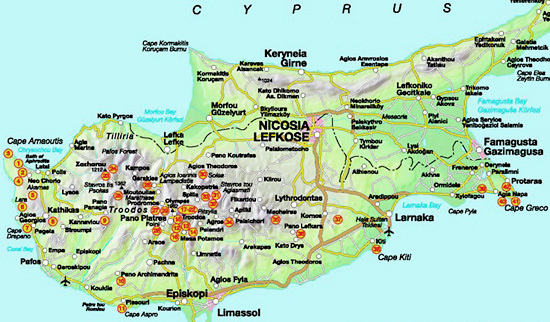 The walks are all in the southern part of Cyprus and are divided into five main areas: Akamas and the west coast around Pafos, Troodos Massif, Pitsylia mountains and Machairas, Between Limassol and Larnaka, Around Agia Napa. Each walk is colour-coded for its degree of difficulty; walking time, alternative routes and restaurant and accomodation tips are given. Next to mountain tours, it also includes a selection of coastal paths along bizarre cliffs and adventurous ravine tours- forest paths and nature trails lead through aromatic cedar woods, silent valleys and to remote Byzantine churches and monasteries. Classic spring tours are those which take visitors across the peninsula of Akamas, when colourful carpets of flowers and orchids blossoming by the wayside unveil their typical Mediterranean charm.